At Spraoi Chill Mhantain, we believe that each individual personality that comes to us is extremely special. We listen to each little person and get to know them well, so that we can then support their learning in a warm, caring and gentle manner. Our philosophy is simple: Each activity we plan and set out for our students must be fun. This way they learn without realising it. Our preschools follow the school calendar and cater for children from 2.5 - 5 years. We believe in maintaining very high staff: child ratios so that we can deliver a personal experience for each child in our care. We offer sessional care and have free ecce spaces available. 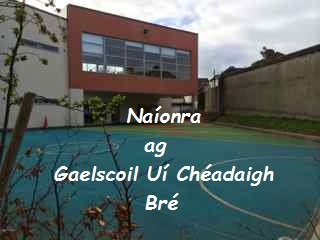 All staff are highly qualified and experienced in delivering the naíonra curriculum. We work on a ‘child-led’ approach to our curriculum in order to provide children with quality care that puts them first.